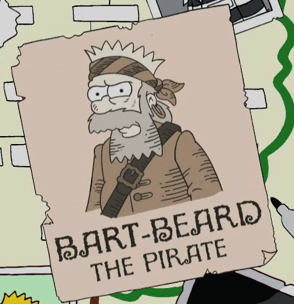 Bart-Beard the Pirate is an ancestor of the Simpson family who was a pirate. While looking through family photos and trees, Lisa found a photo of Bart-Beard. Modified on January 27, 2019, at 14:21.